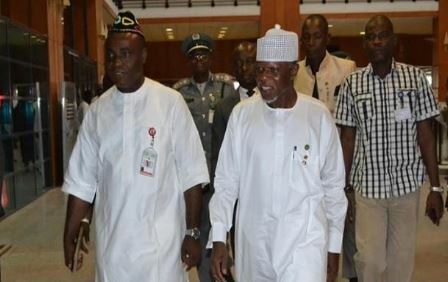 Comptroller General of the Nigerian Customs Service (NCS), Hameed Ali arrived at the national assembly complex on Thursday without customs uniform as requested by the senate. Earlier, the senate had requested that Ali appears before it, in customs uniform, which Ali had rejected on two occasions, saying he was not appointed to wear uniform. But against the demand of the lawmakers, Mr. Ali came to the National Assembly in a white mufti, not “appropriate” customs uniform as demanded by lawmakers.